The GP-19 gun pod was designed around a guiding principle of reliability. At its heart is the GAU-19B, a modern .50 cal gun made for sustained high rates of fire. 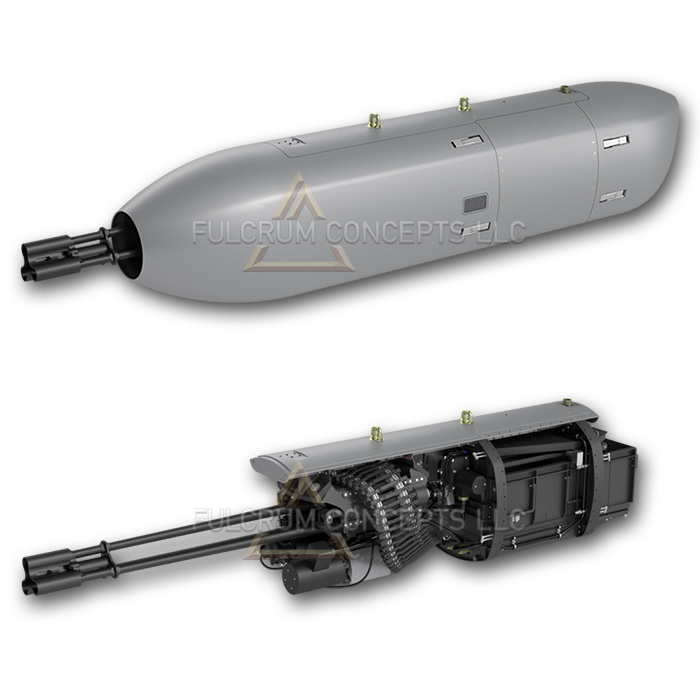 The pod contains an integrated ammunition booster motor and a simple ammunition feed system. Because the GP-19 is fully self-contained, it is jettisonable, easily integrated, and aerodynamically optimized. Increased maintenance intervals help to ensure not only superior mission availability, but reduced maintenance costs and a lower cost of ownership. This latch kit provides the armament personnel with a quick and robust mount / dismount capability for the GAU-19. The kit replaces a few of the existing pins and clamps on the GAU-19, and eliminates the complexity associated with the current lock rings during gun mounting and removal. The latch kit consists of 4 titanium latches and 2 stainless steel P-lock quick release pins with captive lanyards along with all the associated pins and hardware required. The latches are made of Titanium with the high strength yet low weight efficiency ideal for the aviation applications of the GAU-19/B. The p-lock quick release pins have a square pawl profile that has superior retention strength compared to typical ball type quick release pins. All hardware remains captive, so nothing will get lost in the dirt, fall through any cracks, or be blown away by rotor wash. All the latches have an easy one hand operation with slam closed design, eliminating the time required to position the existing clamps and align the pin holes. 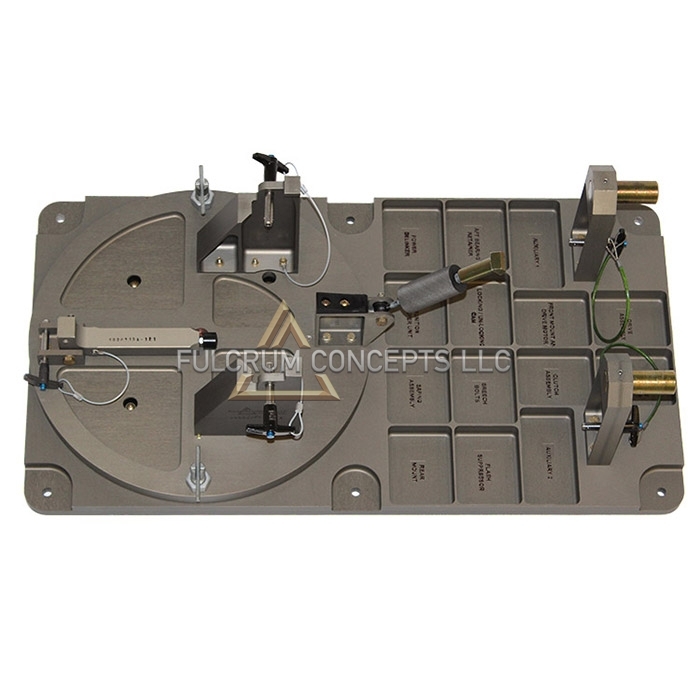 Additionally FCLLC has developed and installation kit that allows the latch kit to be integrated onto guns during routine maintenance without the need for any machine shop equipment. Introducing your new helping hand! 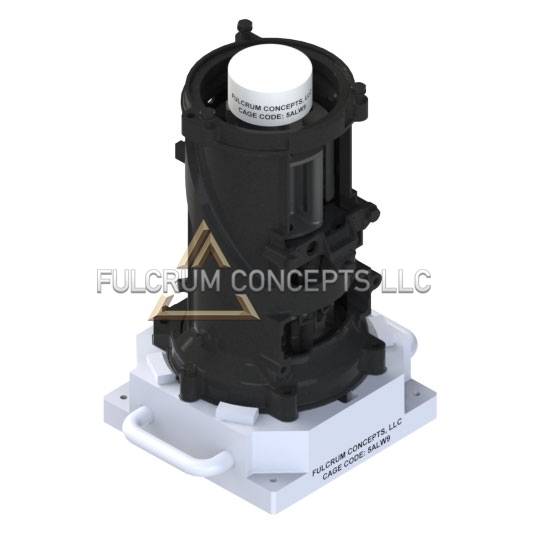 This gear cover is an essential update to the GAU-19/B and features several design improvements while maintaining the same installation hardware as the OEM part. 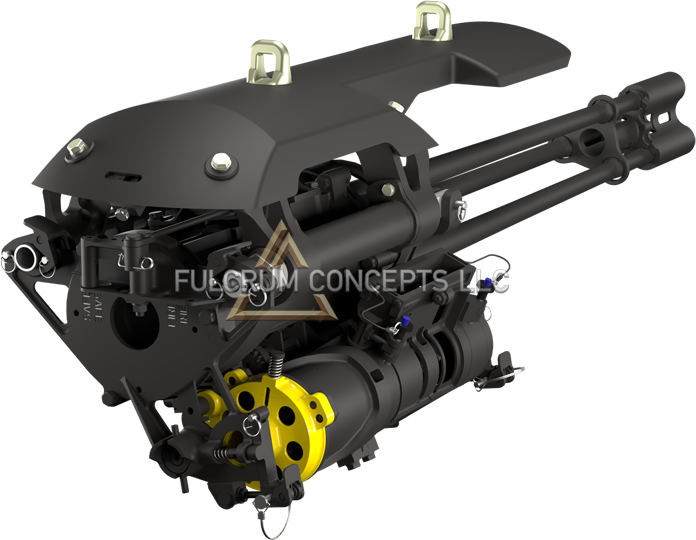 25% lighter than the competition, boresightable, and designed for the worst-case scenario, this GAU‑19/B gun mount has provisions for a jettisonable connector. It’d be a shame to jettison…but you can if you have to! Multi-functional design allows the weapon to be positioned both vertically and horizontally for maintenance as well as function testing. Design features include a “Lazy Susan” style-rotating platform when the weapon is in the vertical position allowing access to the weapon from all sides. Additional features include CNC machine labeled compartments for keeping the weapon’s hardware and parts organized during maintenance. Mounts to all workbench style surfaces either permanently with simple hardware or temporarily with C-Clamps. 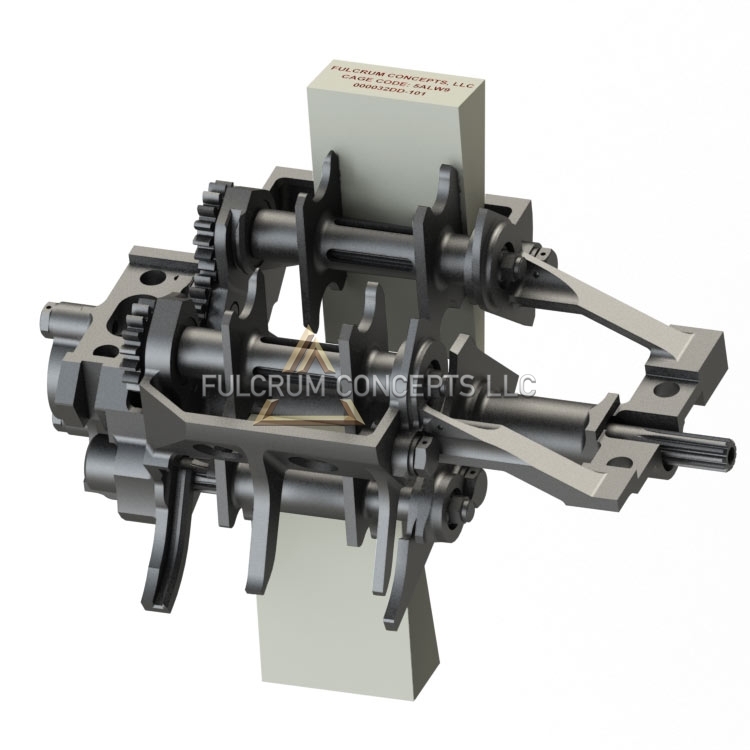 The GAU-19 Rotor Maintenance Fixture allows maintainers to easily and safely remove the rotor from the housing. 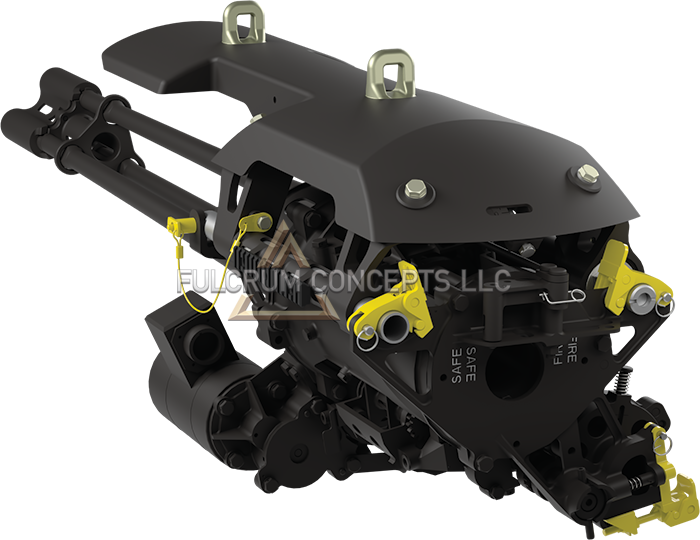 While the housing securely rests on the fixture, the rotor is kept from moving laterally by a small spine that interacts with the gear teeth. The hammer block can then be placed on the rotor and tapped to dislodge the rotor from the housing, eliminating the possibility of damage normally caused from this procedure. The fixture also gives the maintainer a method to hold the rotor in place while torqueing the bearing retainers. Simple, easy to use fixture simplifies the disassembly of the GAU-19 Breech Bolt as well as eliminates the safety hazard associated with reassembling the breech bolt without the proper tools. Compact, lightweight design allows users to securely lock the bolt in place and compress the firing spring while keeping both hands free to insert the retaining pin and complete reassembly. 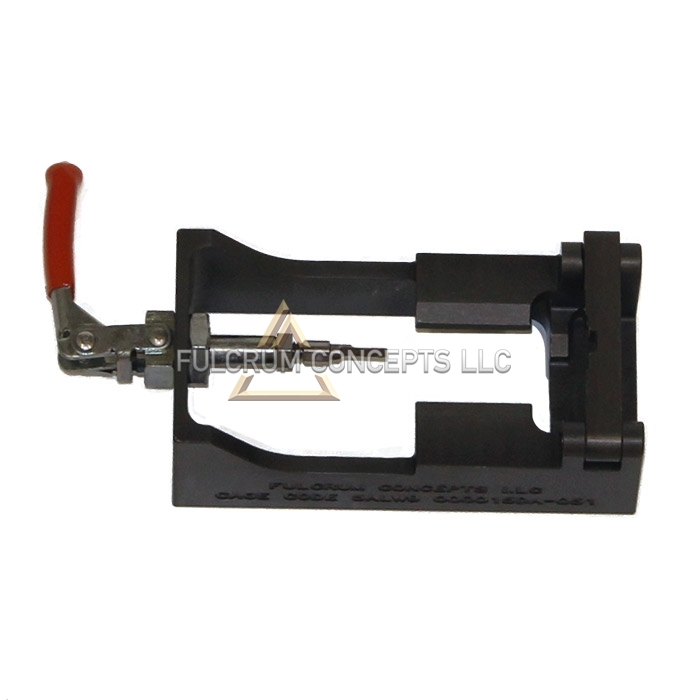 The Ammunition Transfer Unit (ATU) Torque Block allows maintainers to easily perform maintenance on the ATU without damaging tools or equipment. The non-metallic wedge securely binds the cartridge sprockets in place while removing and torqueing hardware. The material used eliminates marring and significantly reduces part fatigue and breakage during maintenance, as well as injury to personnel.